Ferdinand Porsche was the ultimate designer, combining form, function and engineering in ways previously not imagined. His designs have been continuously developed and refined by generations of engineers, but the underlying genius of Ferdinand Porsche can still be observed in current Porsche designs. Ferdinand Alexander Porsche is the grandson of Ferdinand and has inherited more than just the name. A skilled designer and engineer in his own right, F. A. Porsche started working in the family firm in the 1960's creating well-known sports and racing cars, including the iconic Porsche 911. F. A. Porsche created his own design studio in 1974 at Zell am See in Austria and extended his work to other product fields, including writing implements. This range of Porsche writing instruments come from the same stable and have the same heritage. Designed in the Porsche studios these pens and pencils evince those same qualities cherished by drivers the world over: style, performance and reliability. 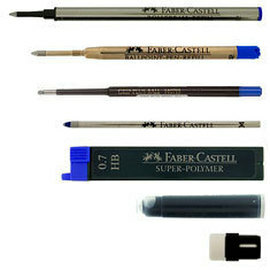 All the writing instruments in the P 3110 range accept standard refill types. 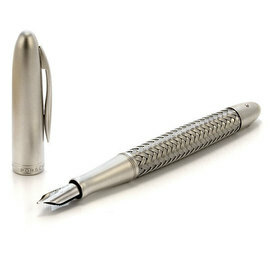 The Porsche Design P 3120 range of writing instruments are manufactured from aluminium. A material widely used in cars and aircraft. Aluminium is light in weight giving the P 3120 range a lightness despite their solid construction. 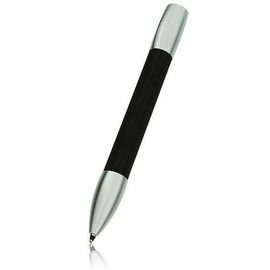 The P 3120 range consists of complementary, twist action, ball pens and mechanical pencils. The P 3120s are available in three finishes; silvery natural aluminium, titanium coloured anodised aluminium or a dark blue/grey anthracite anodised finish. 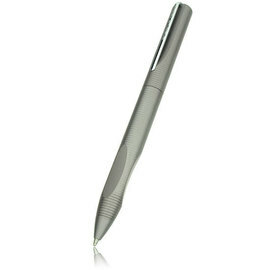 The Porsche Design P 3130 range comprises of a ball pen and 0.7mm mechanical pencil. Each has a barrel constructed of 17 highly polished stainless steel stems. The clip may be removed giving the P 3130 a sleeker look - the clip locks and unlocks with a quarter turn. The P 3130 series accept standard refill types. 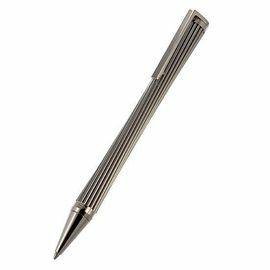 The Porsche Design P 3140 is small ball pen ideal for use with an organiser or easily slipped into the pocket. The natural rubber body houses a neat mechanism which allows the point to be extended or retracted with a flick of the wrist. The P 3140 has received a Red Dot award for product design. The P 3140 accepts a standard refill type. Refills for Porsche Design pens made by Faber-Castell the licensed manufacturer of Porsche Design pens.